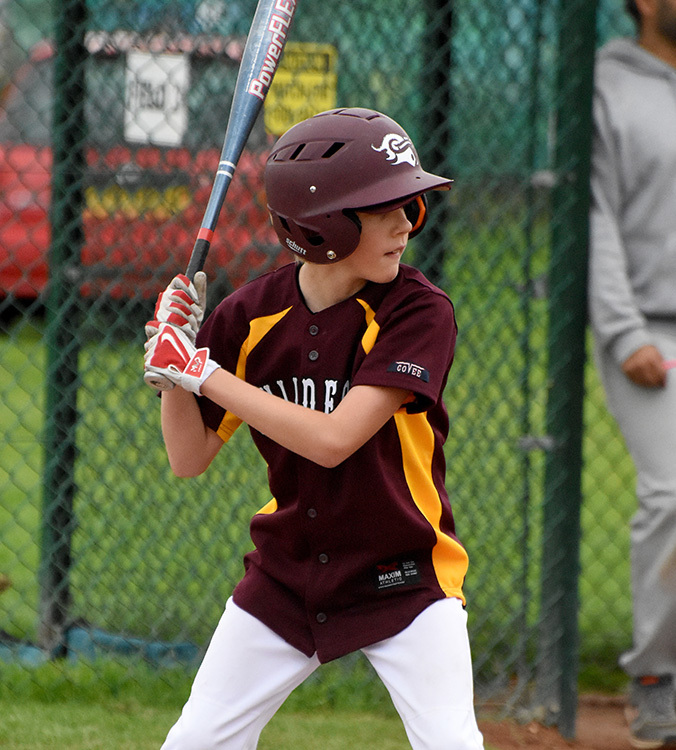 The Club was formed as the Wokingham Millers at the end of 1989, and joined the British Baseball Federation for the 1990 season. The first season was played in the BBF Southern Conference, Division III North. The following year, the club was placed in the Southern section of the division. 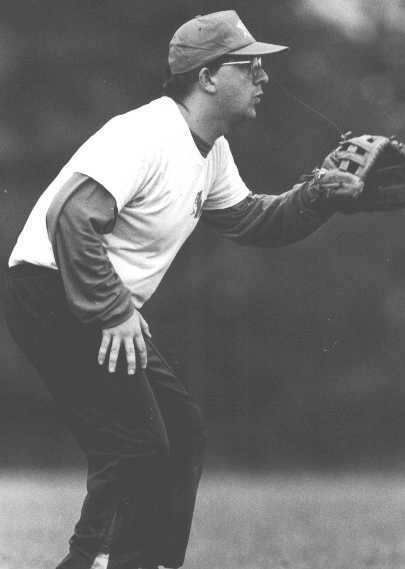 The Millers played two seasons in the BBF before it looked as though they were to fold due to lack of numbers at the end of the 1991 season. Those that were left, initially looked to relocate to Farnborough as the Angels, but were contacted by a group of baseball enthusiasts who wanted to form a team in the Guildford area. This team from Guildford had numbers, but no experience. It was agreed that it was in the best interests of both teams to amalgamate under a single banner, that combined had both player numbers as well as experience. The new team adopted the title of the Guildford group, becoming known as the Guildford Mavericks, and entered the BBF for the 1992 season, taking the place of Wokingham in the re-aligned BBF Southern Conference Division II South. The first game took place on April 27th 1992 at Waltham Abbey, against the Cardinals, and resulted in a 14-12 win for the Mavericks. Martin Roberts was elected President and Nick Jolly Head Coach, whilst Richard Williams, Trevor Goacher, and Gary Perrin managed the Junior club. After one season at Northmead School in Grange Road there was a relocation to Bishop Reindorp School on the other side of the railway tracks, but still in the Stoughton area of Guildford. At this time, the number of players was increasing and during the 1992 and 93 seasons there were sufficient to allow the formation of a second team. This team played friendly games throughout the 1993 season. 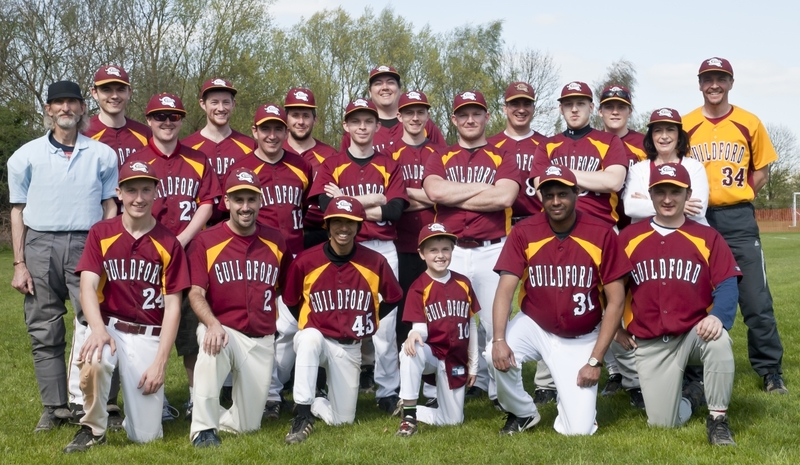 At the end of the ’93 season, it was decided to form the Guildford Baseball Association,(GBA), with two affiliated teams : the Guildford Mavericks, who would continue in Div II, and the Guildford Mudcats, who would play in the newly formed Div III. The teams continued to be affiliated to the association and share facilities, until the end of the 1995, when a complete split took place, and the Mudcats relocated to the Guildford Spectrum. Meanwhile the GBA essentially became the Mavericks, which is the team that continues to this day. 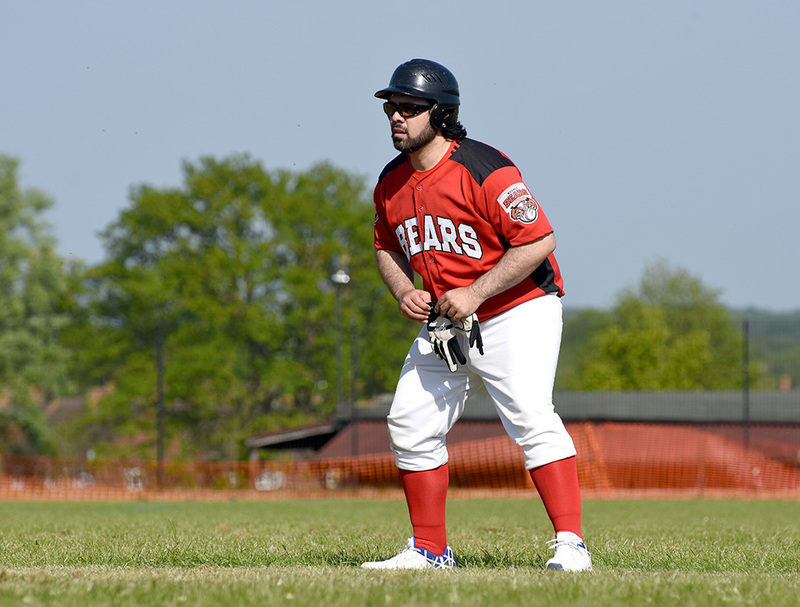 Over the next couple of season, the Mudcats progressed, and finally won promotion to the BBF South Second Division at the end of the 1997 season as a result of finishing runners up to the London Exiles. However losses to key players over the winter lead to the decision to resign from the league before the start of the 1998 campaign. 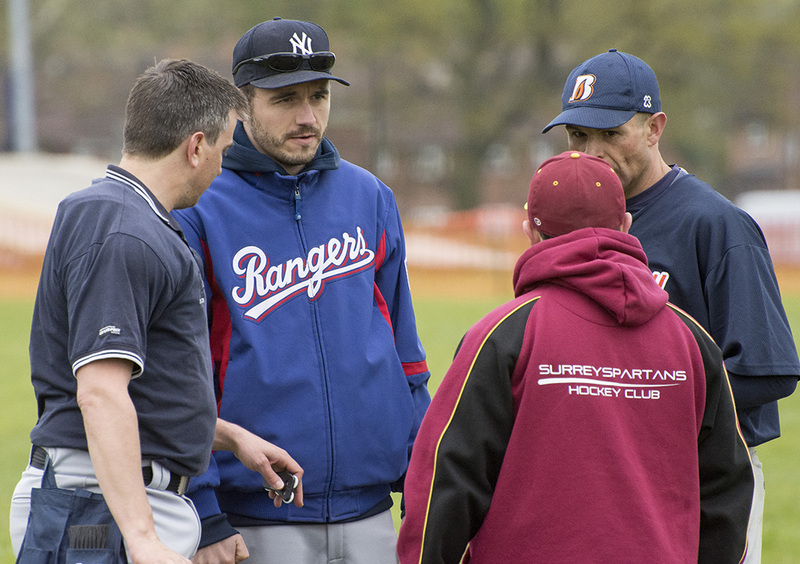 The remaining players joined the Guildford Mavericks, as the two clubs once again, became one. The first play-off season was reached in 1999, under the coaching of Paul McGuinness. The team went unbeaton throughout 1999, and took the Div 2 honours with a resounding play-off vitory at Upper Heyford, over the Oxford Kings. That season also saw the first and so far only, no hitter thrown by a Maverick, when Dave Wallace kept Burgess Hill off the the bases. With promotion following this play-off victory, the Mavericks stormed Div1 the following season, only to lose out on the title as a result of a couple of forfeits in the middle of the season, and the fact they were swept on the last day of the season in a doubleheader at Tonbridge, as the home side were bolstered by some late season additions. 2000 also saw the first season that the Mavericks had officially fielded a second team. A large number of player departures and then that of Head Coach Paul McGuiness, saw the Mavericks come close to folding over the next couple of seasons, and results on the field highlighted this, as the Mavericks found themselves out of their depth at the newly renamed Premier Division level. Dropping down to div 1 at the end of 2002 and then to Div 2 at the end of 2005, allowed the Mavericks to regroup and become competitive again. In 2008 it was announced that Bishop Reindorp (now Christ’s College), was going to undergo development, and that the Mavericks would, at least temporarily, have to relocate. 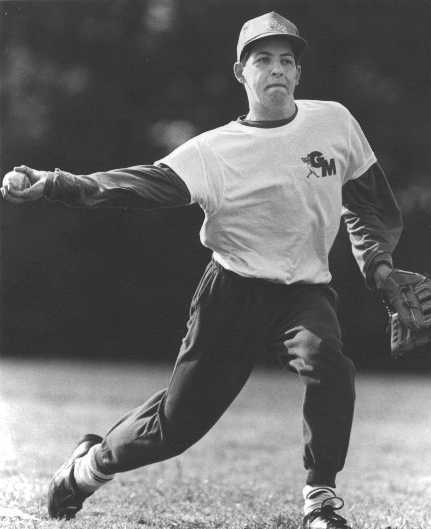 With a bit of good fortune, the Mavericks were contacted by ex-player and original Maverick, Richard Williams who was starting junior baseball at a facility south of Guildford. So in time for the start of 2010, a new diamond had been built at Broadwater School, as part of their Sports Centre complex, that also houses Guildford Hockey Club. It also signalled a return to success on the field of a decade earlier, as the Mavericks qualified for the play-offs, finishing as runners up to Richmond. Wins over Braintree and Chelmsford saw the Mavericks advance to the Single-A final, only to lose out in a close encounter to Double-A, Milton Keynes. 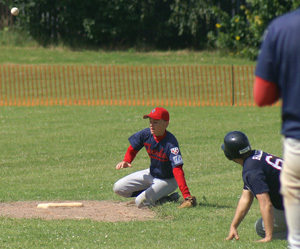 Further play-off success was experienced in 2011, although this time the Mavericks fell at the penultimate hurdle, losing the Southern Double-A final to the Latin Boys. 2012 saw the expansion to two teams and the first team managed to finish the season with an unbeaten record at 16-0 with the second team finishing with a respectable 6-4 record.